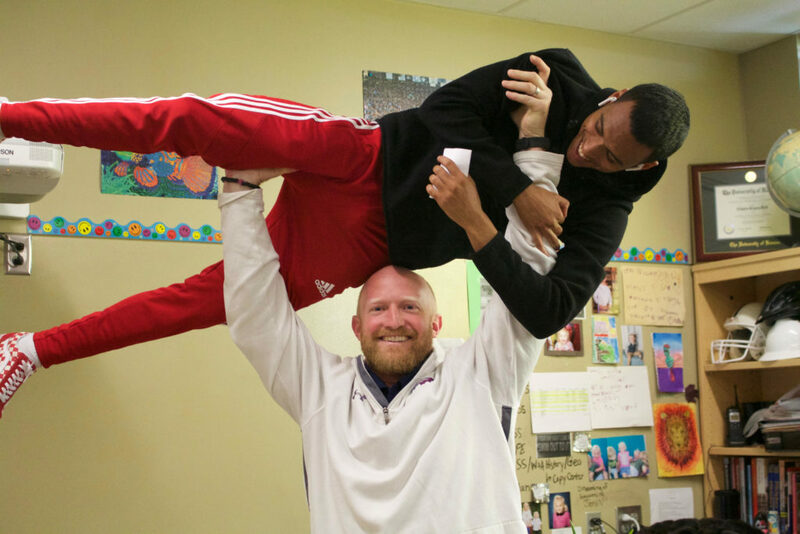 Nick Reed, another adviser for the Joplin Powerlifting Team, showing off his strength. Coaches Linden (left) and Reed posing in the JHS gym. The Joplin Powerlifting teams made it to state and competed against numerous schools from around the area. The boys team finished 3rd place and the girls team finished 4th overall. They had many students beat their personal records ( PR) and place at the top of their weight class. “We had a lot of kids get new PR’s which is really what its all about. I was really proud of our young kids, we really counted on them,” said Alan Linden, adviser of the power lifting club. Joplin High School junior, Karl Anoba, got first in his weight class and attempted to break the state record for squat. 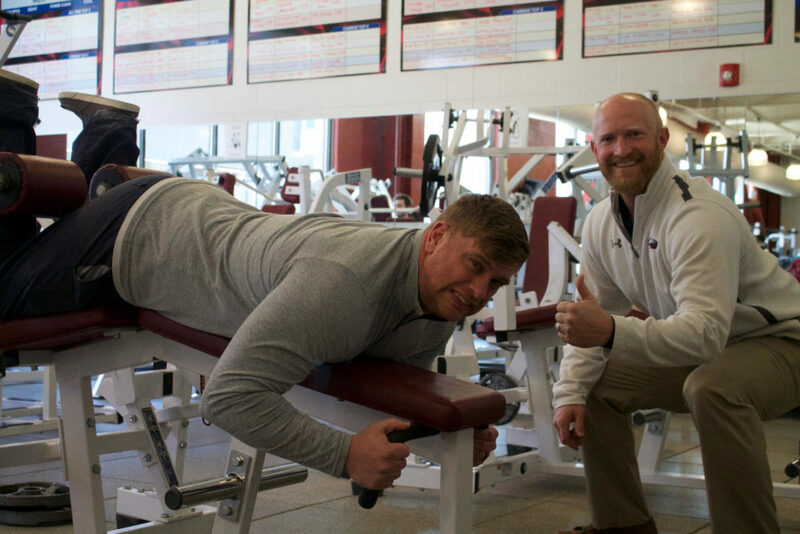 “My biggest advantage going in to school powerlifting was experience. Starting powerlifting, I had been training for three years. I had been training more and harder than the others in my division ,” said Anoba.